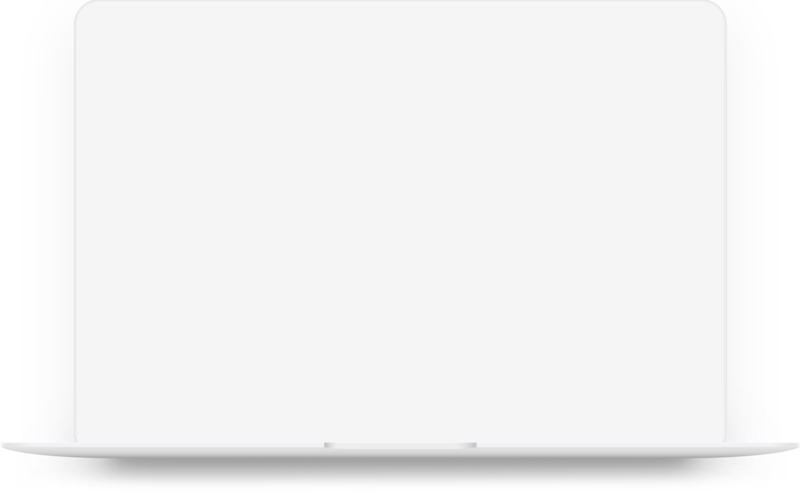 Wundamail is a wundafully simple way to manage and motivate teams of any shape and size. No apps, usernames or passwords needed - it all works directly in your team member's regular email inbox. Get a free 14 day trial. No credit card needed. You have full control of the design and can craft the perfect message to deliver direct to your team on a daily basis. Your team just has to hit reply and send back what they did that day. Reply to this email with a list of what you achieved today. Tomorrow we will send you a copy of everyone's responses. We use Wundamail to keep us all in the loop with that we are doing. Jenna: Landed a big deal with XYZ Corp. Asked production to begin fulfillment. Completed order and delivery plan. James: Short staffing today is weighing on production. Fighting fires. Any advice? Isaac: Chasing leads with some success. Feel my close rate could be better. Anyone available to mentor me? …the next morning, you and your entire team receives a compilation email of all of the responses. It's a top level view of your entire team's achievements for the day. Quickly get a handle on what is complete, who is doing what, and most importantly, what is going wrong and why. 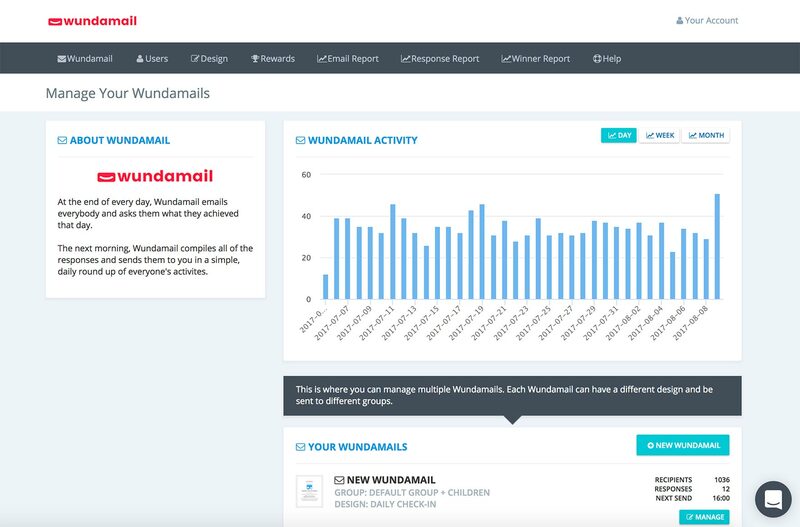 The Wundamail dashboard gives you at a glance access to the most important features of your Wundamail, along with powerful engagement metrics. Powerful enterprise grade management tools for users and multiple groups. Assign managers to take care of your user base. Full control over the look and feel of your Wundamail with our drag and drop designer, or just use one of our library of preset designs. Optional real life reward and recognition features to incentivise your team to work to their best. You don't have to enable rewards if you don't want to. We have users in 600 cities around the world. Try Wundamail for yourself and experience the simplest way to manage and motivate your teams.